another reminder about falkland fiber club. only 6 more days to grab a slot here. 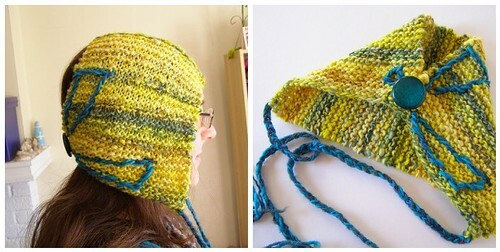 today i would like to give away a handspun bonnet. if your number is drawn, you’ll have your choice of one of these three. being that these are all garter stitch, in order to enter you must comment and tell me what you like about garter stitch. even if you hate it, it has got to be good for something! :) plus i love it, so humor me. oh! and if you’re not a knitter and know nothing about this garter stitch of which i speak, feel free to lavish praises upon the bonnet of your choice for a chance to win. get your comments in before friday at 8 pm eastern time and i’ll announce the winner next monday… along with another giveaway. 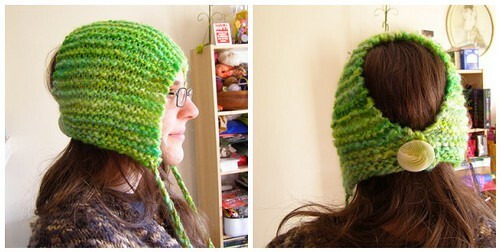 This entry was posted in cosyknitsliterally, free, handspun, hats, knitting, patterns by cosymakes. Bookmark the permalink. Not a knitter but those bonnets are absolutely gorgeous. I love the unique designs and the clasps on the back. I also LOVE the fact these are Cozey from from start to finish in handmade individualism. I really love all of your work and the book is phenomenal. Keep up the awesome work! I can do garter stitch in the dark in the van while my husband drives. That’s why I love it. I like garter stitch because I can do it without looking. Garter stitch is the even possible during SUBTITLED movies! I love that it is simple and easy to do if I’ve got to much on my plate otherwise. I’m a crocheter, not a knitter, so I can’t comment knowledgeably on garter stitch. 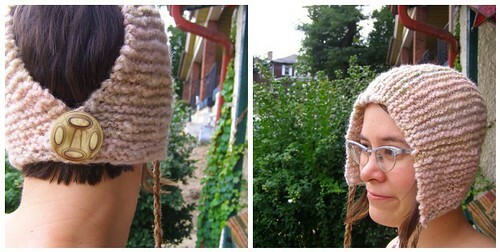 But I adore the bonnets; they frame the face perfectly, and can be worn with a ponytail! Awesome! I love the Garter Stitch… the first stitch that I learned to knit and then I was hooked ! I know nothing about knitting, but I think it looks cute and will keep my head toasty. My wife would love it! Hopefully I will win for her! Let me count the ways I love garter stitch! If I knit garter stitch flat, no purls and I don’t really have to look at what I’m doing so I can even read while knitting. It’s squishy and thick and warm. It shows off pretty yarns because of it’s simplicity. It makes a good substitute for ribbing on hats and other edges. I love the way a garter yoke looks on a sweater. I’m probably forgetting some things, but I do love myself a good garter stitch! Oh gosh, who doesn’t love garter stitch? I love it because it is so beautiful and squishy, and shows off thicker handspun yarns so beautifully. I love it because it is a palate cleanser after harder, lacy knits, yet never ever boring. I love the garter stitch too. It is easy and good for the soul to just keep it simple and relaxing. Love your blog and cool ideas too. I love garter stitch because it is squishy! I love the thickness of the fabric, love the texture, and I do like the way it looks. I love the garter stitch because it’s really easy, the first one I learned! It’s really stretchy and has a great texture and feel! Garter stitch: so so so wonderful for scarves made from handspun yarn!